Shop Local, Shop Small! It's a gorgeous day down here on the coast, come support your local small businesses! 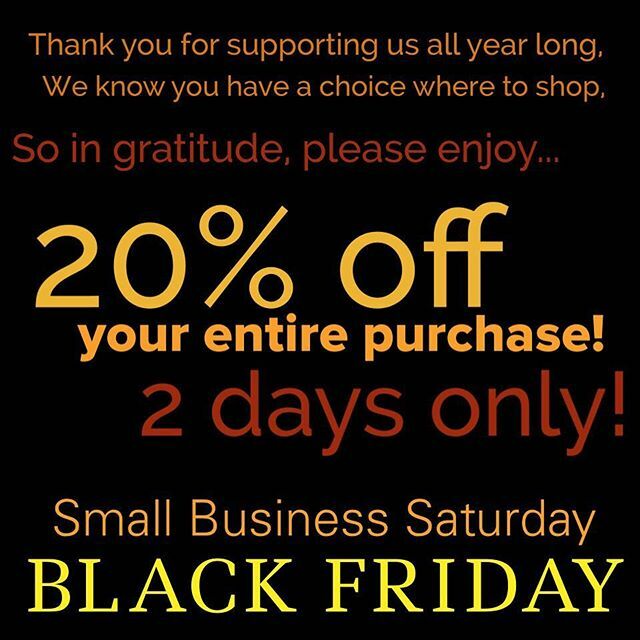 20% off your entire purchase today and tomorrow! Let's get your list all crossed off, avoid the malls and madness! As always, we offer free gift wrap! Hope to see you soon!